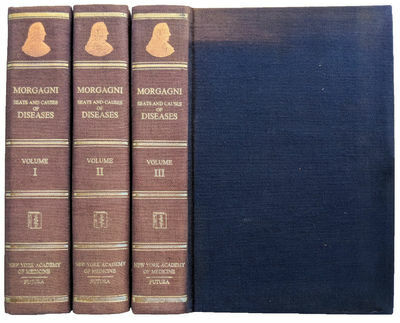 The Seats and Causes of Diseases Investigated by Anatomy; In Five Books, Containing a Great Variety of Dissections, with Remarks, to Which are Added Very Accurate and Copious Indexes of the Principal Things and Names Therein Contained. [3 volumes]. by MORGAGNI, John Baptist (1682-1771).